"I represent why you should never play cards with strangers." IFC FIlms has debuted an official trailer for a documentary titled Dealt, introducing us to and telling the story of Richard Turner, a world famous magician who is completely blind. Turner went blind as a child, and then dedicated his life to learning how to do things that one can't do when they're blind - including becoming an expert in sleight of hand and card tricks. I've been looking forward to seeing this doc ever since I first heard about it earlier this year. I love what Turner says in this trailer about how he wants to be known for what he does on its own merit. I wish I could go see him perform live somewhere. This really seems like a fascinating and fantastic doc. Deal me in. 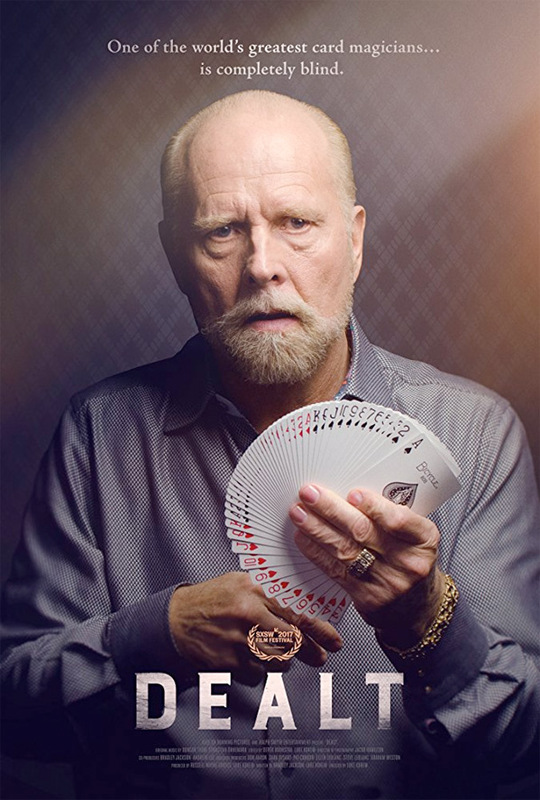 One of the most renowned card magicians of all time, Richard Turner, astounds audiences around the world with his legendary sleight of hand. What they may not even realize — and what makes his achievements all the more amazing — is that he is completely blind. Charting Turner’s colorful life from his tumultuous childhood to the present, Dealt reveals how through determination and force of will, he overcame seemingly insurmountable obstacles to rise to the top of his profession. It’s both a tantalizing, up-close look at the secretive world of magic and a candid, awe-inspiring portrait of a man who lives beyond his limitations. Dealt is directed by filmmaker Luke Korem, of the doc Lord Montagu previously. This first premiered at the SXSW Film Festival, and also played at the Dallas, Sarasota, and New Zealand Film Festivals. IFC will release Dealt in select theaters + on VOD starting October 20th this fall. Who's in?